This bottle is made from olive tree wood. Each and everyone is a handcrafted masterpiece due to olive tree special wood characteristics. Olive wood is one of the most difficult materials when it comes to being processed. Although, the result is unique. 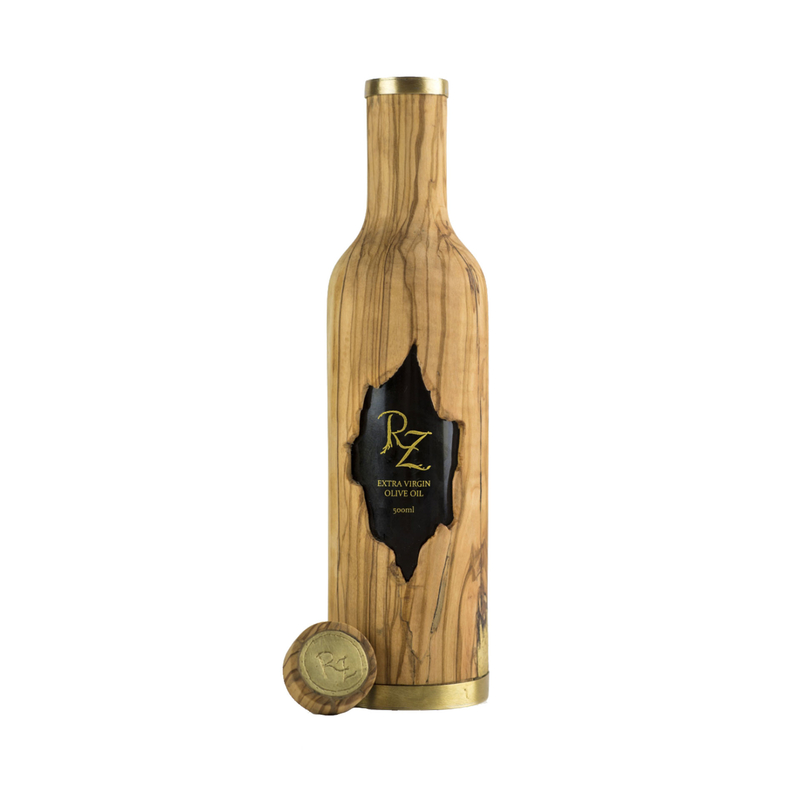 As part of the design, every bottle has an olive tree hollow that allows visual contact with the olive oil. The extra virgin olive oil is a mix of two varieties. a)70% ‘Manaki’. This variety of olive oil thrives in the area of ancient Korinthos. It gives tasteful results. b) 30% ‘Olimpia’. This variety of olive oil thrives in the area of ancient Olympia. It contains five to ten times more beneficial substances than other olive oil. Olive tree is a symbol of civilization and culture all around the Mediterranean Region. Olive trees are pruned in order to be more productive. These olive branches that are cut off is estimated to have been feeding 6 to 7 generations with olive oil. This timber ends up being sold as a fuel for the fireplaces. Inside that tree trunks, we saw reborn… …by creating, instead of burning them. Renowned for its intense aromas and fruity scents, it is considered to be one of the finest Greek Extra Virgin Olive Oil varieties along with the Koroneiki variety.